Cardiovascular Disease | Your Health. Your Lifestyle. Can B vitamins keep your heart healthy? Sadly, the death of two young children who had died of massive strokes were the catalyst for a 1968 investigation. The Boston pathologist who investigated the death of the children found that they had extraordinarily high levels of a protein breakdown product in their blood. Both children’s arteries were blocked by cholesterol as well, resembling more closely the arteries of a middle-aged unhealthy person than those of a young child. These discoveries led to the hypothesis that elevated levels of this breakdown product (know as homocysteine) had contributed to the process of hardening of the arteries. This condition is called atherosclerosis. So, what is the connection between B vitamins and heart health? Folate, vitamin B6 and vitamin B12 are instrumental in the body’s ability to convert homocysteine into methionine. Methionine is one of the 20 substances that help the body to build new proteins. Insufficient levels of any or all of these B vitamins can hamper the conversion process, driving homocysteine levels up. 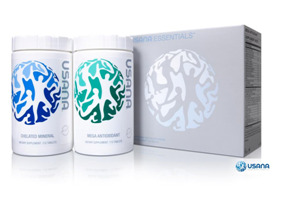 Sufficient levels of these vitamisn, on the other hand, can help to keep homocysteine at a safe level. Many studies over the last few decades have shown that high levels of homocysteine can be associated with an increase in the risk of heart disease and stroke. Some studies have also shown that there is a causal relationship between high intakes of folate and the lower incidence of cardiovascular disease, hypertension and strokes. There cannot be a direct link made, however, between higher homocysteine levels and lower folate levels to an increased risk of heart disease. In other words, it cannot be definitely stated that lower homocysteine levels by taking more folic acid and other B vitamins will lower one’s risk of having a heart attack, stroke or other heart-related condition. There have been several randomized trials involving B vitamins and heart health, but they have not conclusively shown any relationship between the two. In the studies adutl participants who had a history of heart conditions or who were in the upper risk categories for heart disease were given either a placebo or a pill that contained high doses of vitamins B6, B12 and folic acid. The result of the study was that taking the high doses of the three B vitamins did lower the levels of homocysteine present in the body, but that that reduction did not lead to a reduction in the number of cardiac events in the participants. There is some suggestion that the participants in this study were already too far gone in terms of heart health for the B vitamins to have an effect. Recently, analysis of several studies seems to suggest that taking folic acid supplements can reduce the likelihood of a stroke in a person who had never before suffered a stroke. The risk reduction does not occur, however, in people who have already had a stroke. Further, folic acid was most effective in promoting heart health when combined with vitamins B6 and B12 as opposed to when it is consumed in isolation. In the United States and in Canada, since the governments in those countries have mandated that certain products such as bread and pasta be fortified with folic acid, the rate of death from stroke has fallen dramatically. In the UK, where folic acid fortification is not yet mandated, there has been no significant change in the rate of death from strokes. The long and the short of it is this: Folic acid supplementation may reduce the risk of heart disease in people who have lower levels of folate in their systems. This will typically include those people living in countries where folic acid fortification of food is not yet the rule. In countries where people already get adequate levels of folic acid from their food, further supplementation, even levels that are much higher than can be found in a standard multivitamin, has not been sufficiently shown to be of any significant benefit and, actually, may cause harm. Currently, what constitutes a sufficient daily intake of B vitamins isn’t clearly defined. The definition would likely change over time anyway, as more data are collected from randomized trials. Currently in the United States, folic acid fortification of food has led to an increase in the percentage of adults who have adequate levels of folate in their systems. Still, only a small percentage of American adults currently get the recommended daily intake of all B vitamins derived just from their diets alone. Older adults who eat cereals with high fiber or dark breads may be helping to improve their heart health, shows new research. Researchers from the University of Washington analyzed data from more than 3,500 adults, ages 65 and older, who participated in the Cardiovascular Health Study. Participants did not have cardiovascular disease at the start of the study and provided their diet information throughout the study. Researchers identified more than 800 new cases of cardiovascular disease at the eight-year follow-up. Results of the study show adults who ate a high amount of cereals high in fiber had a 21-percent lower risk of cardiovascular disease compared to adults who ate the lowest levels of cereal fiber. Researchers found no link between fruit or vegetable intake and cardiovascular disease. Dark breads, such as wheat, rye and pumpernickel, also lowered the risk of cardiovascular disease. According to the study, there are currently 35 million people over age 65 in the United States. Researchers say this is the fastest growing segment of the population and by the year 2030, 70 million people will be over age 65. Cardiovascular disease is the leading cause of death and disability among older adults. Truth High blood pressure does not always give you symptoms, and it is often found by chance during routine health checkups. Having your blood pressure checked at your annual diabetes reviews, and more frequently if your health professional suggest it, will be a more reliable indicator of whether your blood pressure is high. My doctor tested me for Type 2 diabetes because I am having treatment for high blood pressure. Why is that? Type 2 diabetes and high blood pressure are both linked to insulin resistance, so if you have one of these conditions it is common to have the other, too. If you keep both your blood pressure and your blood glucose level under control, your chances of developing long-term complications, especially heart disease, are greatly reduced. If your larger blood vessels become more rigid and your smaller blood vessels start to constrict, your blood has to flow through a narrower space than before. The result is greater pressure on your blood vessel walls, which is known as high blood pressure or, medically, as hypertension. Having high blood pressure is common when you have Type 2 diabetes. I have high blood pressure but I don’t feel sick. Why does it need to be treated? Having high blood pressure makes you much more prone to cardiovascular disease (CVD) – a serious condition that develops over many years as your blood vessels gradually become narrower and less flexible. You may have high blood pressure without knowing it and, if it remains untreated, you may develop angina (severe chest pain) or have a heart attack or a stroke. Taking your blood pressure treatment as prescribed and having regular checkups can help prevent these serious conditions. If you have Type 2 diabetes your blood pressure should be below 130/80 millimeters of mercury (mmHg). In some situations, for example if you have already developed kidney damage (nephropathy), you may need to keep your blood pressure lower, for example, 125/75 millimeters of mercury (mmHg) to prevent further damage. Discussing your ideal blood pressure level, and ways to achieve it, with your health professional will give you the level that is right for you. Why are there two figures in my blood pressure measurement? The top figure refers to the level of pressure in your blood vessels as your heart contracts and pumps blood around your body. This is known as the systolic blood pressure. The second figure is the lowest pressure as your heart relaxes between beats. This is known as the diastolic blood pressure. Stop smoking and lose weight if you need to, eating more fresh fruit and vegetables and less saturated fat and salt (for example, less processed or commercially prepared meals) to help reduce your blood pressure. 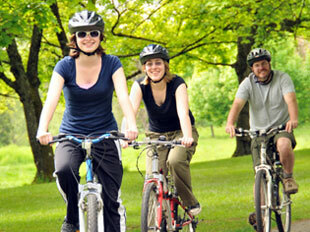 Physical activity will also lower your blood pressure. Take any blood pressure pills that you have been prescribed, even if they do not affect the way you feel, to help keep your blood pressure in the recommended range. How low can my blood pressure go? It would be unusual for your blood pressure to be under 100/60 mmHg if you are otherwise healthy. For every 10 mmHg drop in your systolic blood pressure (the first figure) toward this level, you benefit by reducing your risk of heart attack or stroke. A seldom-measured amino acid that is circulating in your blood may be an indication of cardiovascular disease. It is called homocysteine, and an increasing number of physicians and researchers are acknowledging that high levels of the chemical are associated with heart disease and stroke. A summary of 15 studies revealed that elevated homocysteine levels produced a 70 percent increase in the risk of coronary artery disease and a greater risk for stroke. Previous studies have shown connections with schizophrenia, Alzheimer’s disease, hypothyroidism and anemia. Dr. M. Rene Malinow, professor of medicine at the Oregon Health Sciences University and one of the nation’s leading homocysteine researchers, says we don’t yet know for sure that it is a cause of atherosclerosis. “We will have to wait for the results of clinical trials, and that could take several years.” Adds Malinow, “Although it is a relatively new risk factor by itself, it is possible that a high homocysteine level combined with traditional risks, such as hypertension or smoking, is even more significant. Even those who think homocysteine is related to heart disease are not sure why it may have a harmful effect. One theory is that, in elevated amounts, it irritates the inner lining of the arteries and could cause blood clots to form. There is even a possibility that homocysteine levels increase after a stroke, not before. The good news is that a high homocysteine count can be prevented or treated by getting adequate amounts of folic acid (folate). Cantwell tells patients who have high levels to take 0.4 mg of folic acid per day, as well as a multivitamin supplement that includes B6 and B12. A high intake of folate by itself can mask other medical conditions, including a type of anemia. The U.S. Food and Drug Administration has mandated that all enriched grain products be fortified with folate. Check the labels on cereal boxes. Most of them provide 25 percent of the daily folate requirement and many contain 25-35 percent of daily vitamin B6 and B12 needs. If you are eating a well-balanced diet, you probably don’t need the supplements. Homocysteine screening is not very common. The American Heart Association is taking a very conservative position on the issue, saying that it’s too early to recommend general screening. Cantwell points out that the one-year cost of a folate and multivitamin supplement is approximately equal to the cost of a screening test. Americans are well informed of the risk factors associated with heart disease. Sooner or later, a new one — elevated homocysteine levels — may be added to that list. Folate is also good for unborn babies.